In 2013, The Set Ensemble spent 3 days in residence at Meantime Project Space, Cheltenham. The time was spent working on new scores by the Ensemble, including Tim Parkinson’s opera Time With People, Rydal Mount by Angharad Davies, Notes, Paper, Time by Dominic Lash. 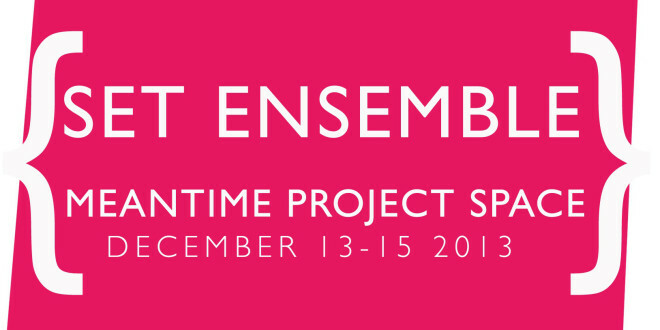 Time With People has since been performed internationally, including a realisation by the Edges Ensemble at Huddersfield Contemporary Music Festival in 2014. Lash’s Notes, Paper, Time is now available to stream or download here, and a text realisations of Angharad Davies’ Rydal Mount by Holly Pester, Neil Chapman and David Stent is available from Compost and Height. L-R: Dominic Lash, Angharad Davies, Sarah Hughes, David Stent, Tim Parkinson. Rehearsing Tim Parkinson’s Time With People, 2014.